Brace yourself for a Black Friday on Wall Street. 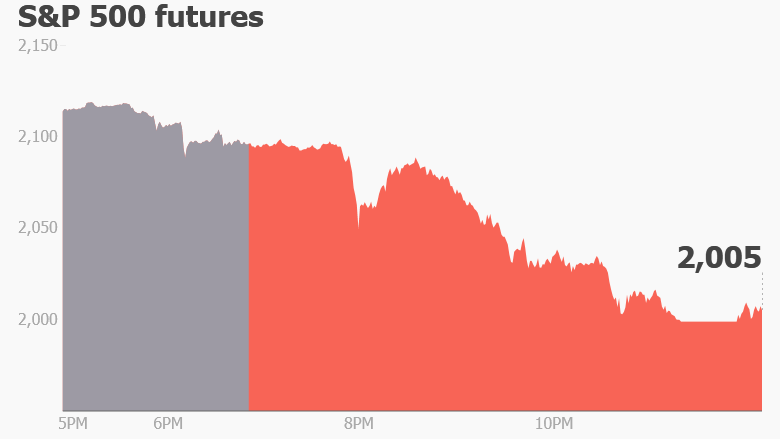 The result from a historic referendum in the U.K. is rocking markets around the world and slamming U.S. stock futures, which indicate how shares will open at 9:30 a.m. ET. Investors are reacting with shock to the announcement that the United Kingdom has voted to leave the European Union, which is a political, economic and free trade union between 28 member nations. Nearly 52% of U.K. voters cast their ballots in support of a British exit, or Brexit. The result led British Prime Minister David Cameron to issue his resignation this morning. He had been campaigning for the U.K. to remain in the EU. Dow Jones industrial average futures are off by about 500 points, or roughly 2.7%, ahead of the opening bell in New York. The S&P 500 and Nasdaq look set to plunge 3.5%. The U.K. is America's seventh biggest trading partner. Click chart for the latest premarket data. Global stock markets are in sell-off mode and currencies are swinging wildly. London's benchmark FTSE 100 index took a swift drop in excess of 8% immediately after markets opened, equating to a loss of more than $140 billion off the value of major U.K.-traded companies. Many major London-traded banking stocks were down by about 30%. The FTSE 100 retraced some of its losses and it's currently down about 5%. 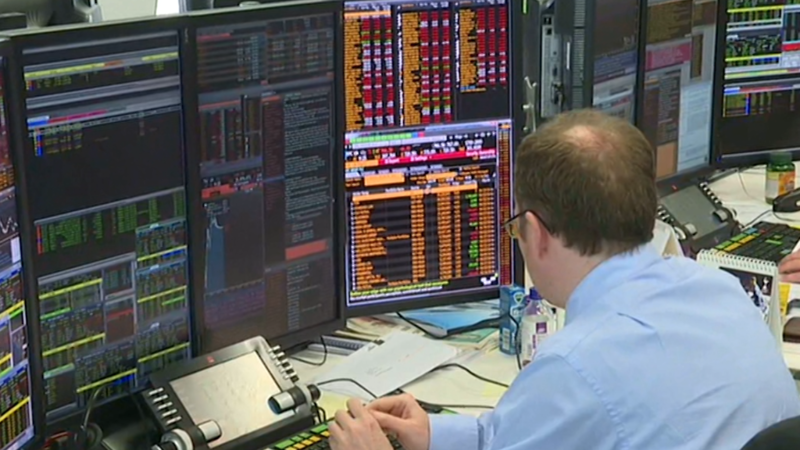 Other major European markets are also plunging, with Germany's DAX off by about 6.3%. The benchmark Nikkei index in Japan dropped nearly 8%, making it the biggest stock market loser in Asia. The British pound crashed overnight, dropping by more than 10% versus the U.S. dollar and hitting a level not seen since the mid-1980s. The pound had been trading at its highest level of the year around $1.50 on Thursday ahead of the referendum results. It fell to as low as $1.32 but has now recovered a bit to trade around $1.38. The euro is also down versus all major global currencies. The referendum has created political uncertainty about the future of the European Union and the eurozone. The U.K. will now have to extract itself from its membership in the European Union over the next few years and rework trade agreements with countries around the world. This is expected to have a massive knock-on effect on global trade and politics and create market uncertainty. Investors are also piling into gold, which is rallying by about 4%. They're also crowding into U.S. government bonds, pushing down the yield on 10-year bonds to about 1.52%, the lowest level since 2012. Crude oil futures are dropping by about 4% to trade around $48 per barrel. On Thursday, there had been optimism as investors bet the U.K. would vote to remain in the European Union. U.S. stocks made strong gains while Britons went to the polls, led by optimism that Brits would vote to remain in the EU. But the gains -- and more -- were wiped out Friday.